It’s always kind of hard to write that very first post. What should it be about? What do you say? These are only a few of the questions and thoughts that went through my head. In the end I just decided to let it flow and come naturally. I guess a really good place to start is how The Mystery Corner came about. Well, I really really love everything about mystery and crime. From the twists and turns you find while reading a book (or watching a series or movie) to the techniques used to help solve crimes. I’ve been wanting to start a blog for ages and just never found the right topic for it until I realised my love for mystery is the perfect one! It’s the perfect platform to share and learn everything mystery with other like-minded souls. The only thing left to do was figure out how I wanted to convey my mystery enthusiasm! The first question that popped into my head was: “where do I like to go for my mystery fix?” The answer was pretty obvious. My favourite thing to do over weekends, and even some weekday afternoons, is going to the mall, stocking up on some delicious coffee (take away of course) and then hitting the bookshop. Most of the time I just browse as I have stacks to read already, but as you all know we do make a mental note on the “desperately want to read” list – a list which has taken on a life of its own. That is the feeling of excitement I wanted to recreate and why The Mystery Corner is your little corner bookshop in the blogosphere (with the exception of actually selling books). So what has The Mystery Corner got in store for you? A whole range of books (code for blog posts…) from forensic science techniques and true crimes to those exciting fiction books we all love. 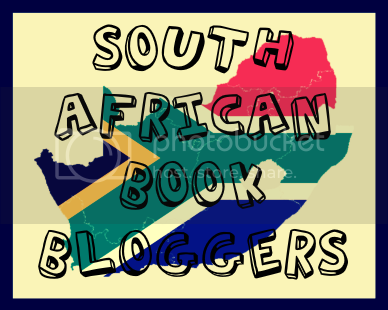 There is also a monthly meeting of the Murder Mystery Book Club (showcasing book reviews), where we will focus on both local (South African) and international authors. But at this rate I might just give everything away and where would the mystery be then… I hope you enjoy browsing The Mystery Corner, while sipping that coffee! If you have any suggestions or comments, don’t forget to leave your thoughts.